I have worked in the automotive service business most of my life. 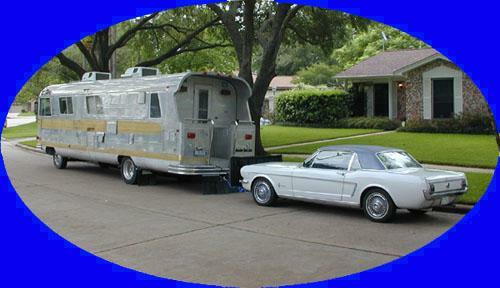 RV's are somewhat new to me, but there are many similarities with them and their cousins... cars and trucks. I am a long time automotive enthusiast and hope to help others by providing any info I can. In the following blogs I will attempt to describe repairs and maintenance in terms that everyone can understand. I'm tired of fumbling around in the dark looking for the light switch for the closet. I looked at the local home improvement stores for a micro switch, but no luck. I was changing the oil under the coach the other day and noticed there is a large 6" gap between the front of the radiator/condenser and the front cross member. On all newer cars and trucks there is a air dam installed underneath to direct air flow into the front of the radiator. It's common to see shields and plastic covers underneath cars and trucks, so why not on the F53 chassis. Not sure if this was fixed in the 1999 chassis redesign, but my '97 doesn't have one. I was cleaning the toilet inside my MH the other day and found the vacuum breaker leaking behind the toilet. I read a few threads about the pros and cons of adding a 110 volt electric heating element to my Suburban 6 gallon DSI water heater. The good, reduced propane usage when camping at hook up sites. The bad, voids Suburban and Atwood water heater warranties. After all my research all I could find was a few people saying it will damage your water heater, but no one with first hand knowledge of this. The good posts outweighed the bad, so I decided to go ahead and install the Lightning Rod kit. During our trip to WA last July, our in dash CD player stopped working. It was a no name, no frills model so I wasn't really upset that it broke. When I got home I started researching single DIN CD players in the $150.00 price range. I wanted something that could play my itunes from my macbook, so that narrowed my choices down substantially. I emailed Kenwood about their BT audio unit but they could not confirm it would stream A2DP audio. That left one choice, the Sony MEX-BT3800U. Installation of the Banks Power Pack System, specifically the torque tubes is not a particularly difficult job for the average DIY'er. It took me about 9 hours to install because I like to take my time and dilly dally allot. A factory sway bar is designed to limit the amount of side to side sway between the axle and the frame of the vehicle it is mounted on. It limits the amount of roll by transferring downward force to the opposite side of the axle, thus reducing sway. Every sway bar has a pre-determined amount of twist built into it by design. The thicker the sway bar, the less amount of twist is generated. This system works well if everything is within design tolerances. I didn't really want to remove the rear dually's on my F53, the 12,000 GVWR on the rear axle was intimidating to say the least, but I did want to check the rear brakes anyway so I decided to take precautions. I found a coupon from Harbor Freight for 12k rated jack stands for 29.95 a pair. This in combination with my hydraulic levelers gave me enough confidence to go ahead and do the job. Replacing air filter and installing Banks ram air system. No more annoying brake squeak! When I purchased my pre-owned class A, I preformed what I thought was a thorough pre-purchase inspection. The one area I could have done better with was inspecting the rubber EPDM roof. I was not prepared to climb up and walk around on the roof, so I climbed as far as I could and looked across the roof. Seemed ok, I saw a few black spots in the distance, but figured it was probably mold or discoloration that would clean off.